In this brilliant mix of literary satire and crime caper, Frankie Abandonato, a small-time con man on the run, finds refuge by posing as V. S. Mohle--a famously reclusive writer--and teaching in a prestigious writing program somewhere in Texas. Streetwise and semiliterate, Frankie finds that being treated as a genius agrees with him. The program has been funded by Rex Schoeninger, the world's richest novelist, who is dying. Buzzards are circling, angling for the remains of Rex's fortune, and Frankie quickly realizes that he has been presented with the opportunity of a lifetime. Complicating matters is the fact that Rex is haunted by a twenty-five-year feud with the shadowy Mohle. What rankles Rex is that, while he has written fifty bestsellers and never gotten an ounce of literary respect, Mohle wrote one slender novel, disappeared into the woods, and become an icon. Determined to come to terms with his past, Rex has arranged to bring his rival to Texas, only to find himself facing off against an imposter. 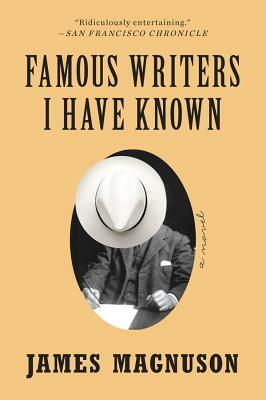 Famous Writers I Have Known is not just an unforgettable literary romp but also a surprisingly tender take on two men--one a scam artist frantic to be believed, the other an old lion desperate to be remembered.